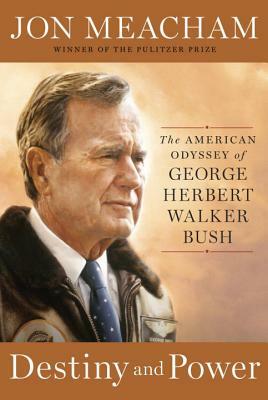 In this brilliant biography, Jon Meacham, the Pulitzer Prize–winning author, chronicles the life of George Herbert Walker Bush. Drawing on President Bush’s personal diaries, on the diaries of his wife, Barbara, and on extraordinary access to the forty-first president and his family, Meacham paints an intimate and surprising portrait of an intensely private man who led the nation through tumultuous times. From the Oval Office to Camp David, from his study in the private quarters of the White House to Air Force One, from the fall of the Berlin Wall to the first Gulf War to the end of Communism, Destiny and Power charts the thoughts, decisions, and emotions of a modern president who may have been the last of his kind. This is the human story of a man who was, like the nation he led, at once noble and flawed.